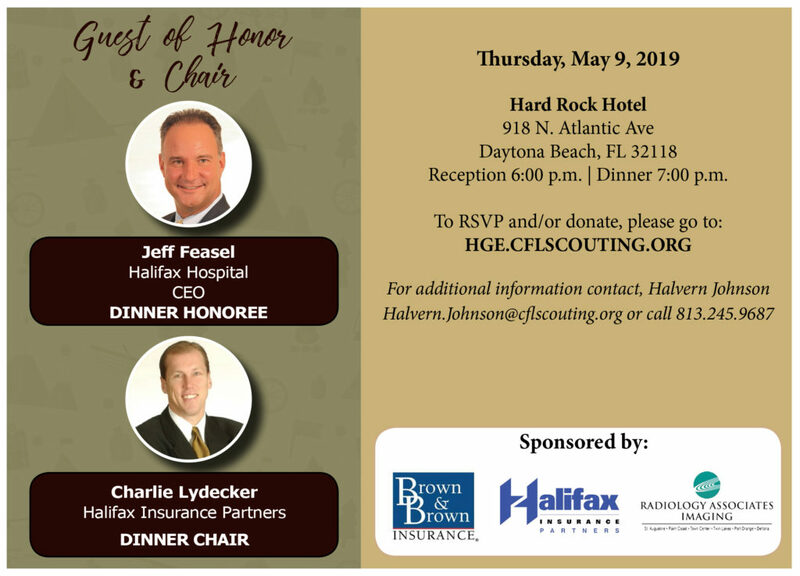 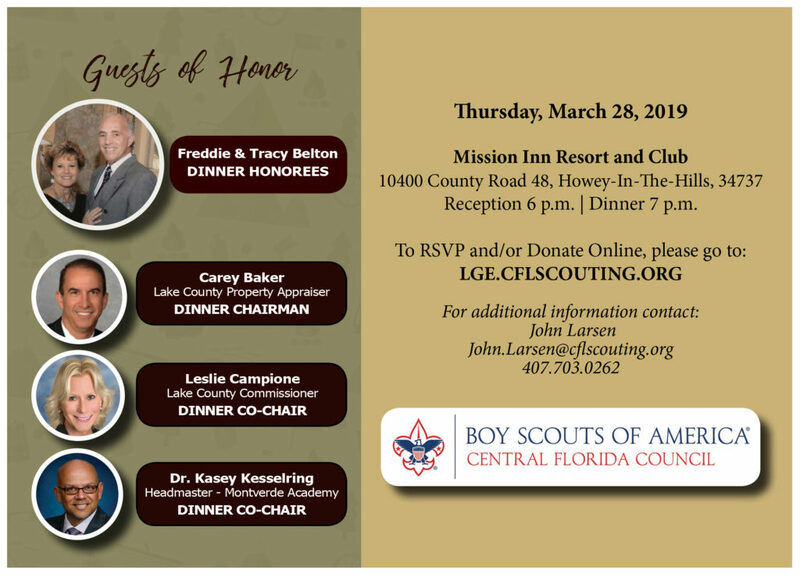 We are pleased to announce our 2019 Golden Eagle Dinner Honorees!! 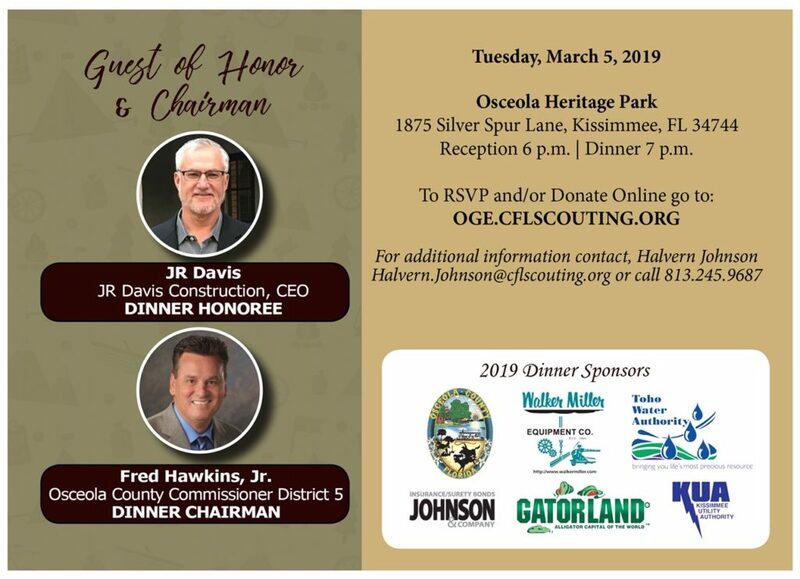 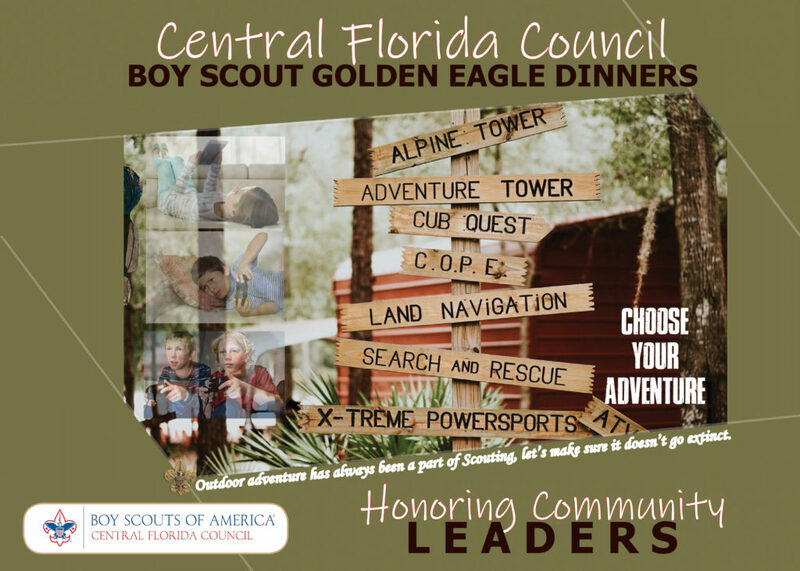 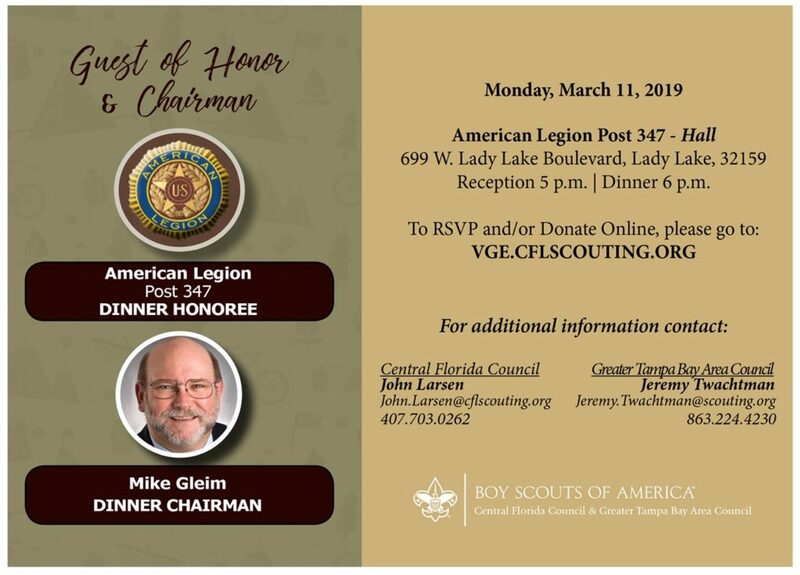 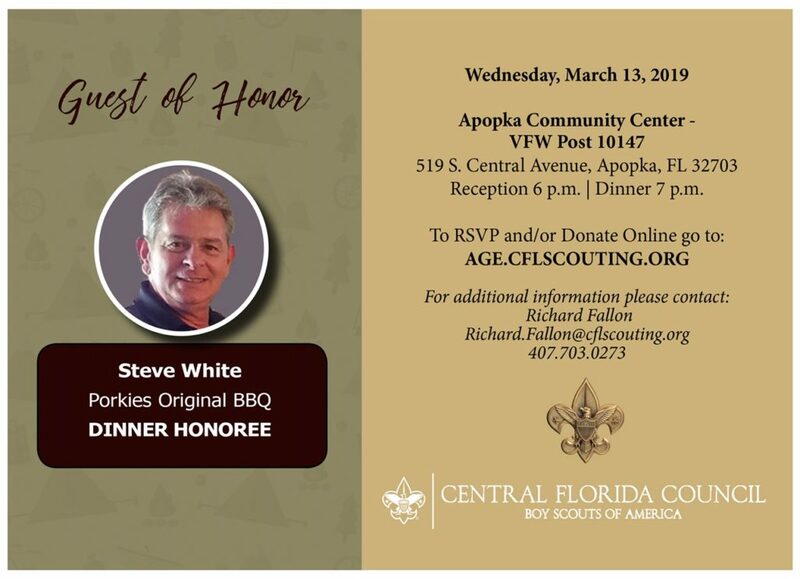 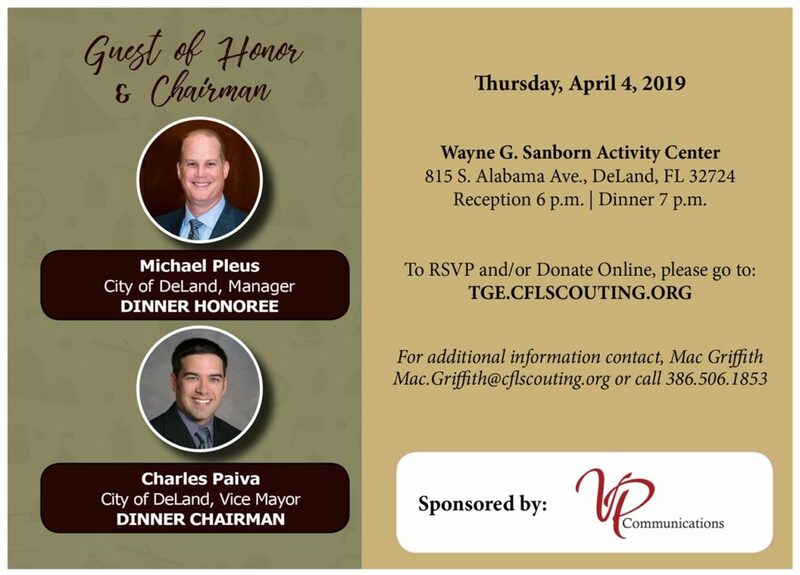 The Boy Scout Golden Eagle Dinner is the annual fundraising event that helps make Scouting happen in Central Florida. 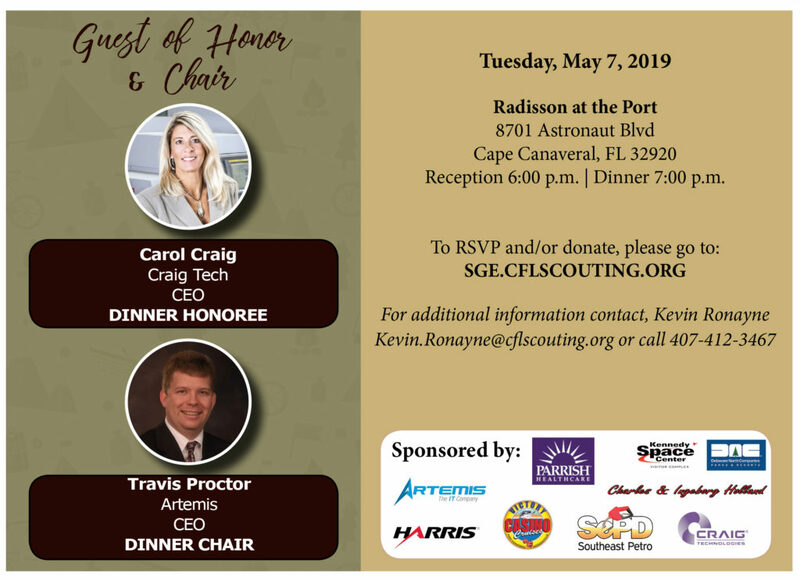 It brings together the business, civic and political leaders in our local communities to share the story of Scouting’s impact on our youth. 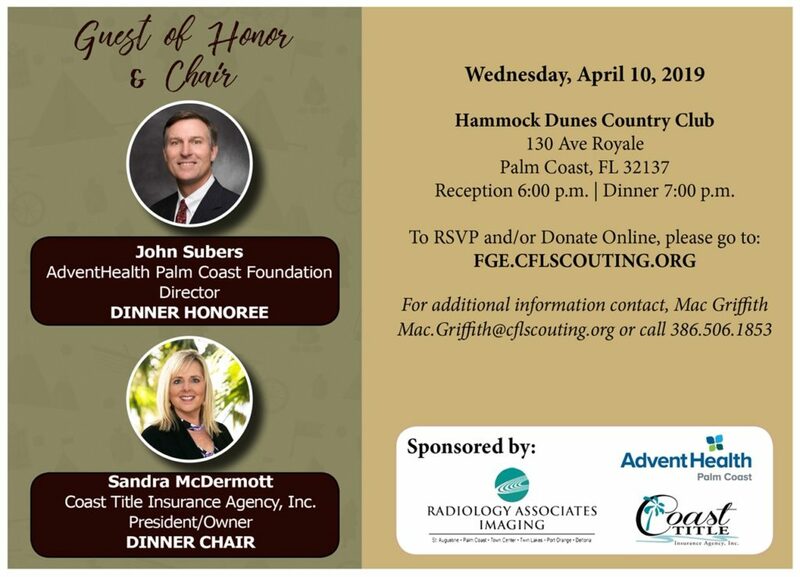 The Golden Eagle Dinner also affords us the opportunity to honor great community leaders for their service, selected by their peers. 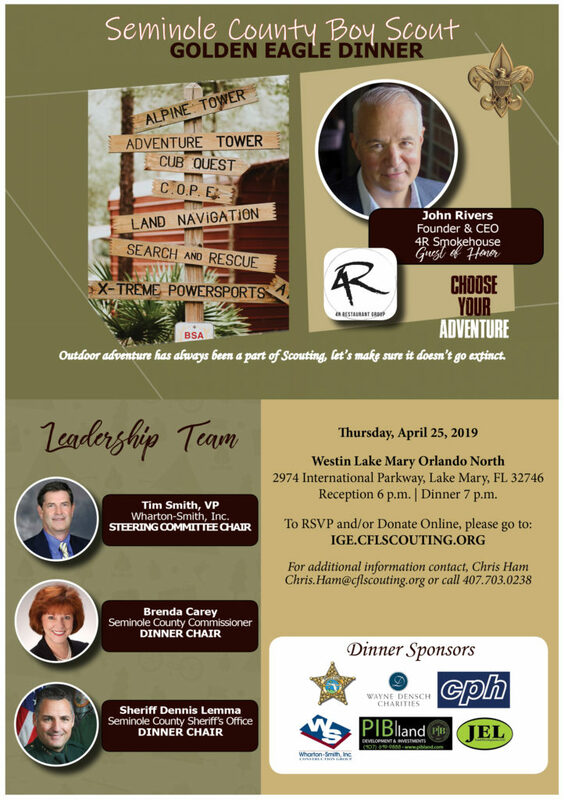 Sponsorship opportunities begin at $1,000. 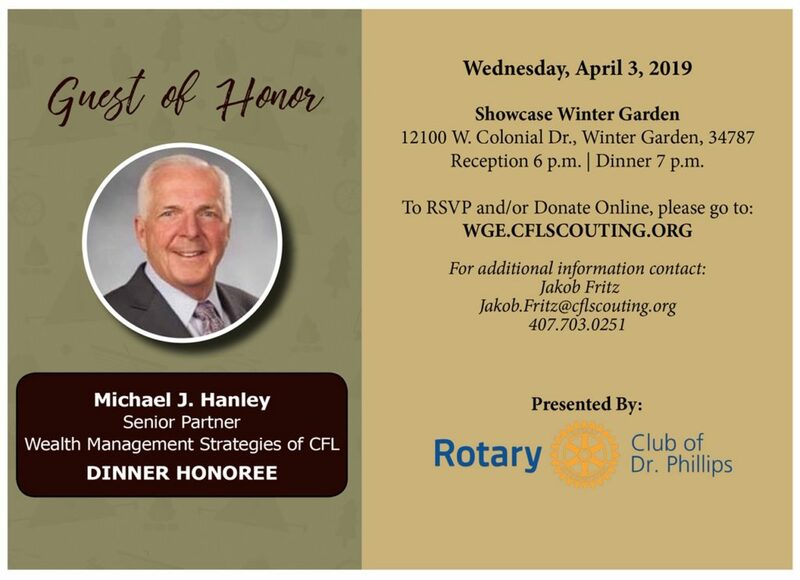 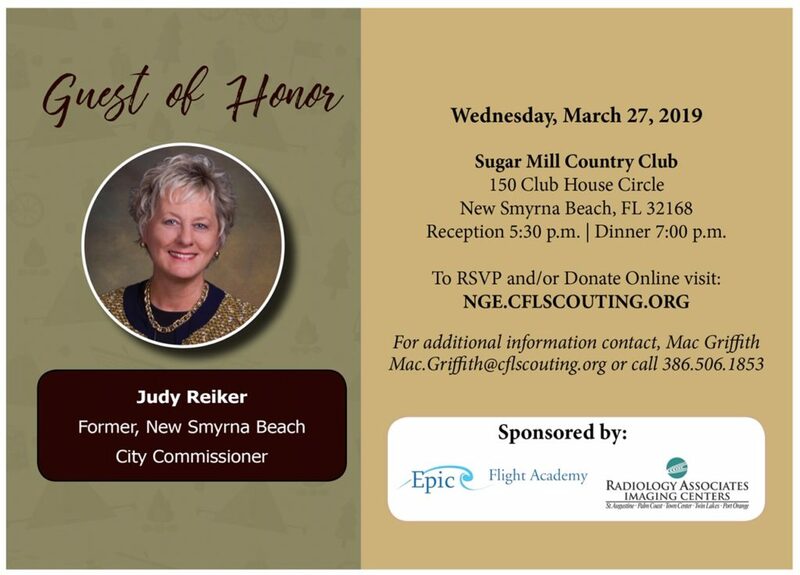 To find out how you can make a difference in the life of Scout by attending or sponsoring an event listed below, click the invite below to reserve your chair and/or to donate.If you have questions, please contact Nancy Mireles or call 407.703.0282. 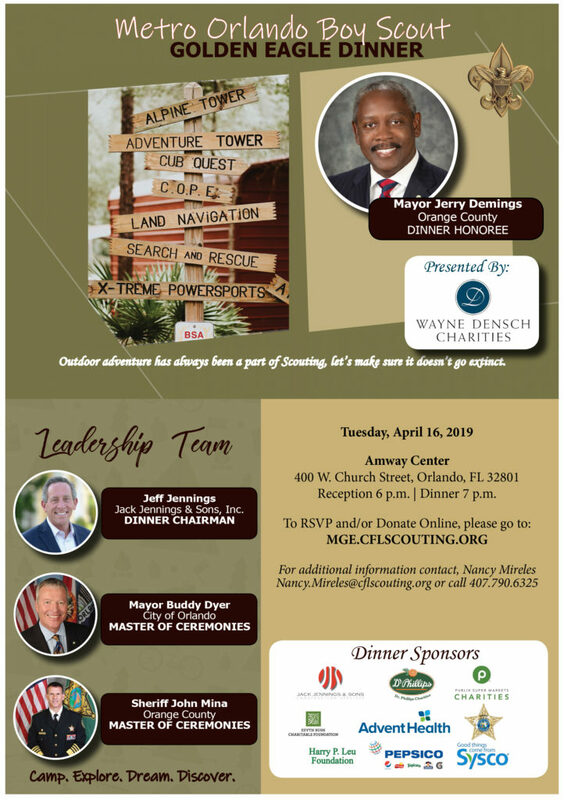 Please click here to help us reach our goals!